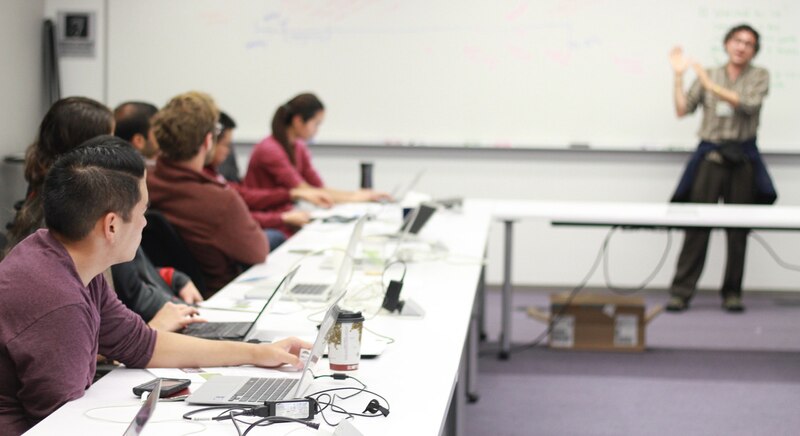 In Wiki Education’s Wikipedia Student Program, university instructors assign students to write Wikipedia articles, empowering them to share knowledge with the world. Students research course-related topics that are missing or underrepresented, synthesize the available literature, and use our free tools and trainings to add the information to Wikipedia. What are my students going to be assigned? Students can work alone or in groups editing Wikipedia. This assignment occurs alongside your regular course goals and readings, and follows an interactive timeline on the Dashboard. The Dashboard is customized to fit your syllabus and course goals. The rough timeline that you see below shows what students will be doing throughout the assignment, how you as an instructor can provide support or a grade, and how the Dashboard keeps track of it all. In the process of researching a topic, students in our program must follow Wikipedia’s extensive sourcing requirements. As they navigate an increasingly complex and contentious media landscape, they learn how to critique a source and discern its reliability. They learn how to collaborate with their peers, frame academic research to the public, and convey facts to a non-expert audience. While contributing cited, well-founded information, they help combat fake news on the internet. 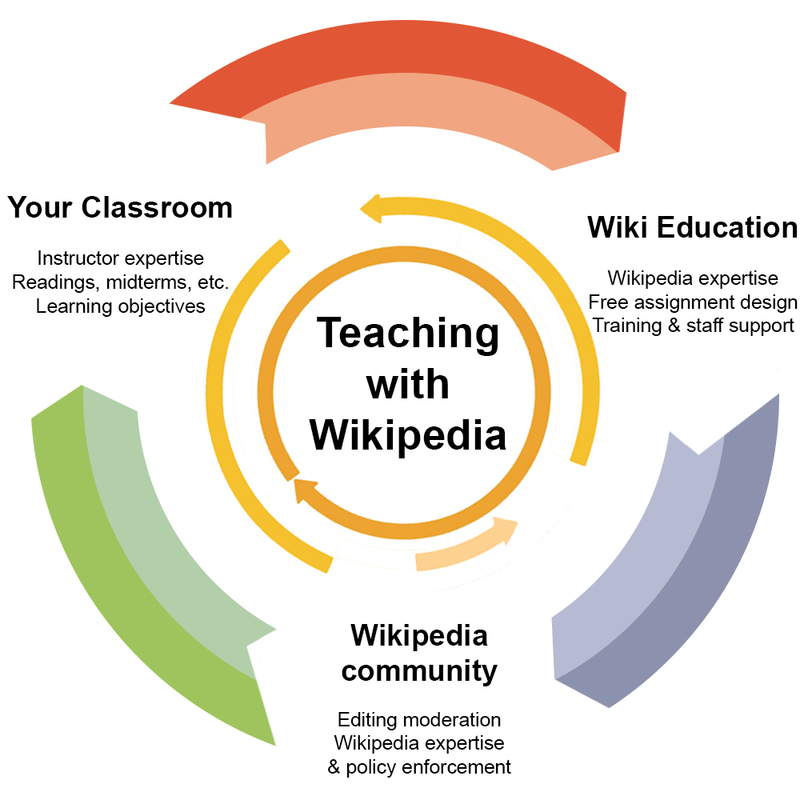 After supporting tens of thousands of students doing Wikipedia assignments, we’ve proven this model brings high-quality academic information to wide audiences. 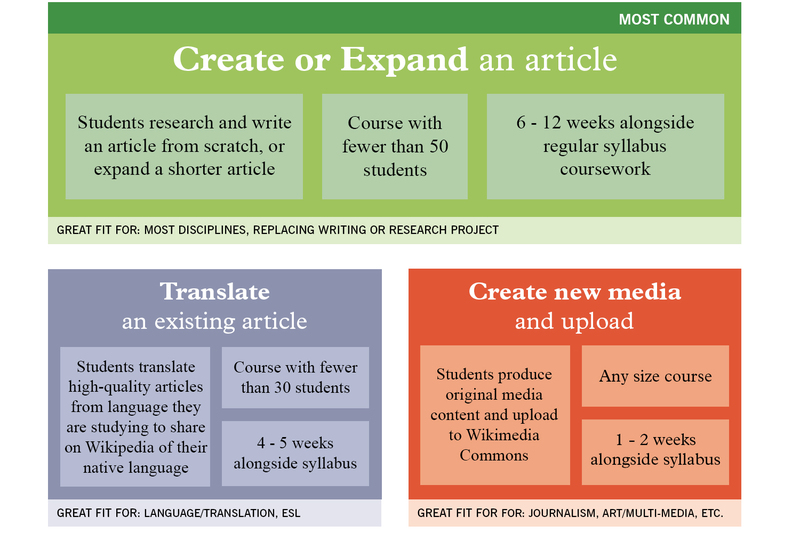 Wikipedia assignments transform classrooms because as students master the course content, they build skills for their academic and professional lives.